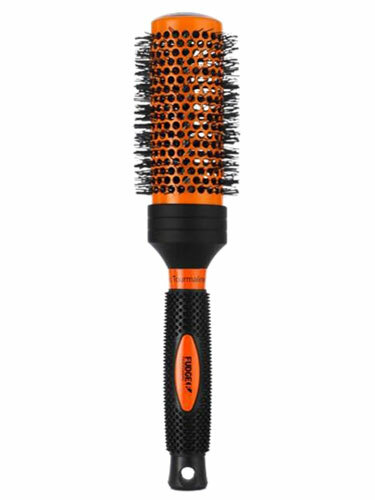 The Fudge Standard Radial Brush will help you create smooth luscious locks or dynamic twisting curls. With a helpful grip handle that allows you to twist and twirl the brush through your hair with ease, just use with a hair-dryer to create whichever style you want. Made with Ceramic Tourmaline so that the heat from the hairdryer is absorbed and your hair is protected from the damaging effects of heat styling.